I started an MFA program in January, specifically one geared at writing for children and young adults. (You can check out the program here). And it wasn’t an easy decision to make. I’ve been wanting to go back to school to get my masters forever, but I always figured it would be something in education. I’d toyed with the idea of doing an MFA (master of fine arts) instead but always brushed the idea aside. I guess I had this idea that the program would be full of pretentious teachers and faculty who would sneer at genre fiction and try to transmogrify my work into something high brow, literary, and dreadfully boring. I like high brow literary books, actually. But I dislike dreadfully boring ones. And so I didn’t seriously entertain the idea of an MFA program. Besides, you absolutely do NOT need any degree at all to be a successful writer. There are scads of national bestsellers who never took a college writing class and do just fine drawing an audience, and even more importantly (to me), construct great stories. If you’re willing to read widely and practice hard by writing hundreds of thousands of words no one may ever see, then you can absolutely become a self-taught master of the craft over time with effort and some natural talent. And yet here I am. This post is for anyone who is wondering if an MFA is for them. Because just two months into this program, I can tell you it’s definitely for me. I’ve been writing for eight years now. I have seven published novels to my name. They are well-reviewed and sell well. I’m proud of these books, but they’re mostly for adults, fun, lighthearted romances that are perfect for Friday nights or reading by the pool. I like writing them, and I’ll keep doing it. But a few years into writing, I found myself restless to try something different. And so I started a young adult novel. It was a contemporary story about a girl who is trying to escape her vindictive great aunt and her hoarding house by getting into design school in New York. It’s not something my publisher would be interested in, and so I went looking for an agent and landed a great one. That book didn’t sell. Neither did the next book, although it got close at a few national publishers. I was left with the feeling that there was some piece missing in my writing and I couldn’t see it. And the thing is, although I know excellent writers who are generous in critiquing my work, none of them could put their finger on it either. But I could sense that I was missing something. Worse, other story ideas were coming to me that I didn’t dare tackle because I knew I didn’t have the chops. That’s a sad feeling, not being able to tell a story you want to tell. There are drawbacks to an MFA. It’s expensive. It’s time consuming. My low-residency model requires me to travel literally across the country twice a year for ten days. I could conceivably find the right combination of conferences, online classes, and critique partners to progress on my own. Also, I already have some of the things other people who enter these programs want: a major agent and some publishing contracts. 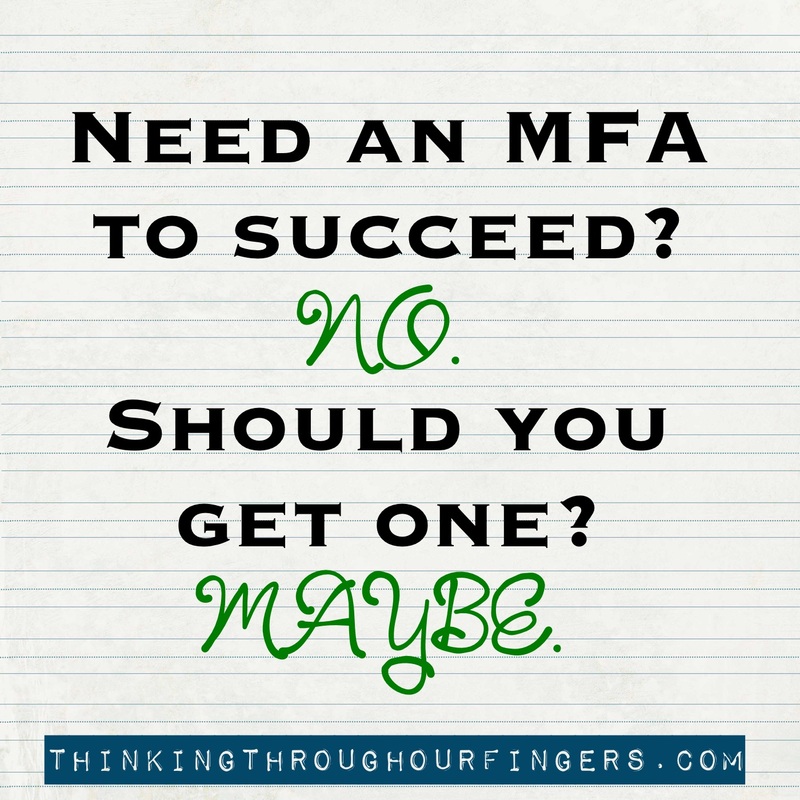 So why do I need an MFA? I guess it’s for the same reason that we have New York Times bestsellers in the program—as students. Not teachers. It’s about getting better, and this being the only way to truly grow any further. I’d gotten as good as I was going to get on my own. Above all, this program offers me the chance to work with a brilliant teacher one-on-one for six months at a time, and have that teacher thoughtfully consider my work, show me my weaknesses, and challenge me to strengthen them. Also, I have to read constantly now, so I can lie around on the sofa in the middle of the afternoon with my nose in a book and be like, “I’m working.” And I mostly get to pick what I want to read! Hard life. The advisor relationship is the number one reason for me to do this program, but there are other benefits I’m discovering: first, an MFA is considered a terminal degree for teaching at the university level. That means it qualifies me to teach college, and I don’t need to get a PhD. Next, an incredible camaraderie develops between you and the other students in the program. Even across four semesters, there are only about 100 students enrolled at a time. That’s true of most programs. Some may even be smaller. It gives you an opportunity to get to know people who are as passionate about writing as you are. That also means there are inevitable networking opportunities that have the potential to blossom in unexpected ways. MFA programs aren’t for everyone. And they’re definitely only for deeply committed writers, although that doesn’t have to mean published writers. 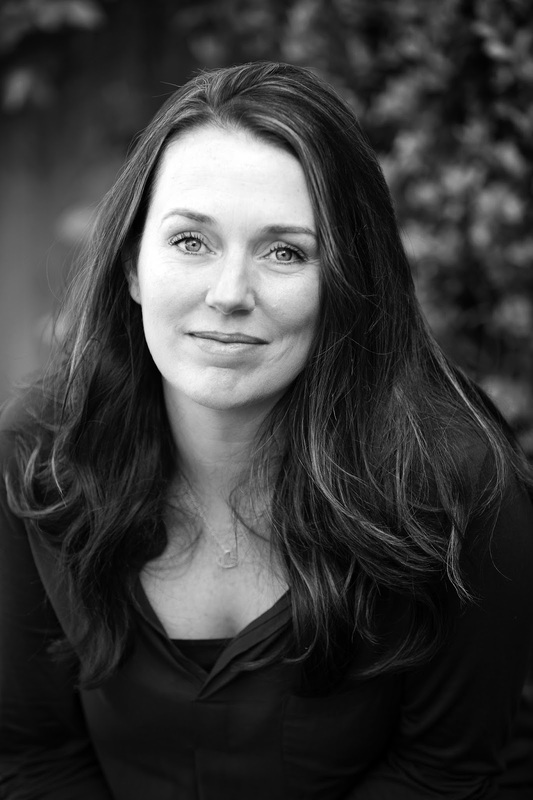 My program is a range of writers from those who don’t have agents yet all the way up to those bestsellers. What tells me that I’ve made the right choice more than anything else is that I’ve been happy to sacrifice luxuries and even small comforts to pay for school, and I haven’t begrudged that once. But even more than that, it’s the sheer joy I feel in learning and progressing every single day as I do my work. It’s not an easy decision, or one that anyone can take lightly. But for the right person, it’s . . . well, it’s nirvana. Amen and ditto! I will never regret the decision to embark on the MFA journey. Nicely done, Mel.